From the tales of 1001 Nights, this stunning Scheherazade shawl is gorgeous enough to distract even the most dastardly of opponents. 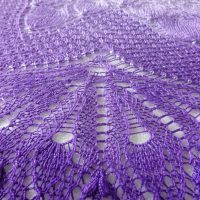 The sheen of its beautiful off-white to purple gradient Tencel yarn, and the dazzling beads just sparkle with every movement. Just like Scheherazade’s magical tales, it is sure to grab the attention of anyone who looks upon it. 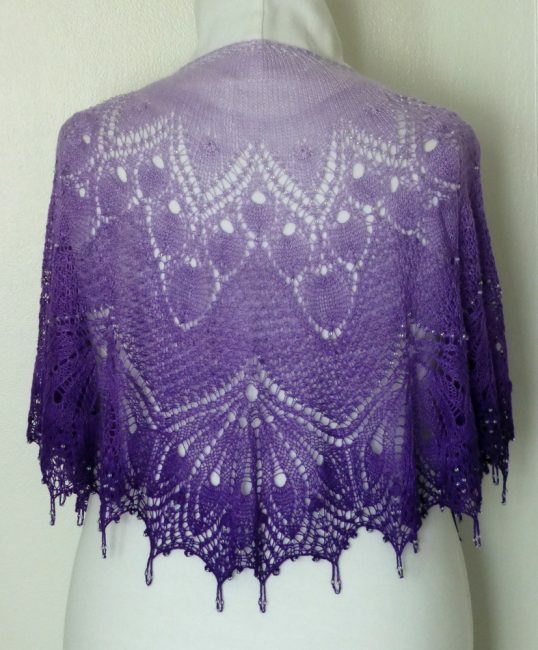 Who wouldn’t want to wear this show-stopping shawl. This was a custom request and I absolutely loved making it. 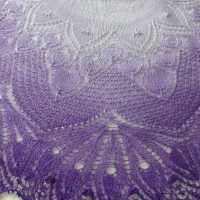 The 1001 Nights pattern is such an intriguing knit and I am never bored knitting this pattern at any point. Its complicated stitches look difficult, but are actually easy once you get the hang of them. 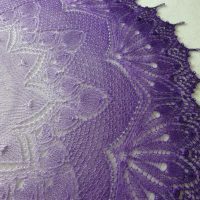 Vivid Fiber Arts Pure Purple yarn is like knitting with butter, so smooth and silky. I just love it. And so does it’s new owner too. 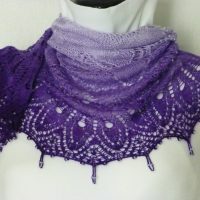 I’m thrilled with how this shawl turned out. Size: One size, Measures 48″ wide by 26″ long. 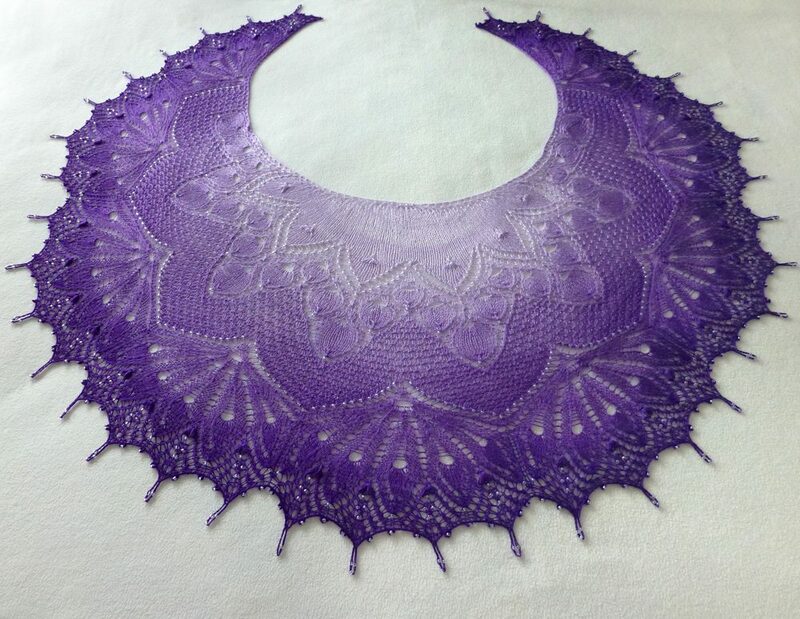 *Special thanks to Anne-Lise Maigaard (1001 Nights) for creating such a beautiful pattern and to Vivid Fiber Arts for dyeing such beautiful yarn.